Wishing you all a fabulous day filled with lots of good food and company! I encourage you to take pictures of your Thanksgiving table and/or plate and share it with the rest of us over at My Persian Kitchen’s Facebook Fan Page! While we are on the subject matter how many of you look for the turkey’s wish bone??? I wanted to share a little game that we always played in Iran with wish bones. Two people take the wish bone and the first thing that they do is agree on what the winner’s prize is. Each person takes one end of the wish bone and they break it in half. From the second the wish bone is broken in two the games begins! The scope is for either one of the two players to hand something to the other and for the person who takes the item to forget to say Yadameh, I remember in Farsi. The idea is to say yadameh each time an item is taken from the hands of the other person. The first person that forgets to say yadameh loses the game. The fun part of this game is that it can actually go on for hours depending on how good the players are! Speaking on bones, tomorrow’s post is about what to do with your turkey bones. Don’t throw them away, it is so easy to make a turkey broth that you can use later to make soups with! Frankly, there is nothing better than a homemade broth! 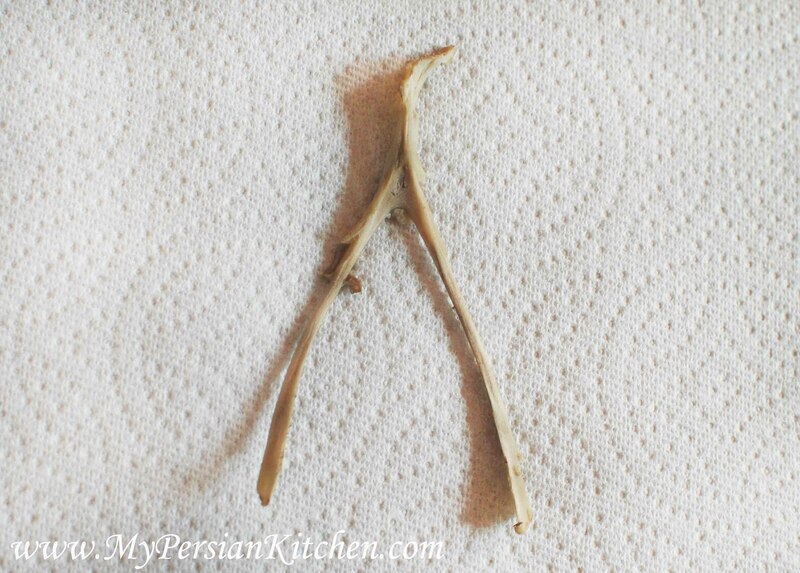 My husband’s family plays this game, thanks for sharing this fun Persian tradition Sanam 😉 Funny I found a wishbone and am saving it for our niece and nephew to do this weekend 😉 Happy Thanksgiving!! Janelle, awesome!! 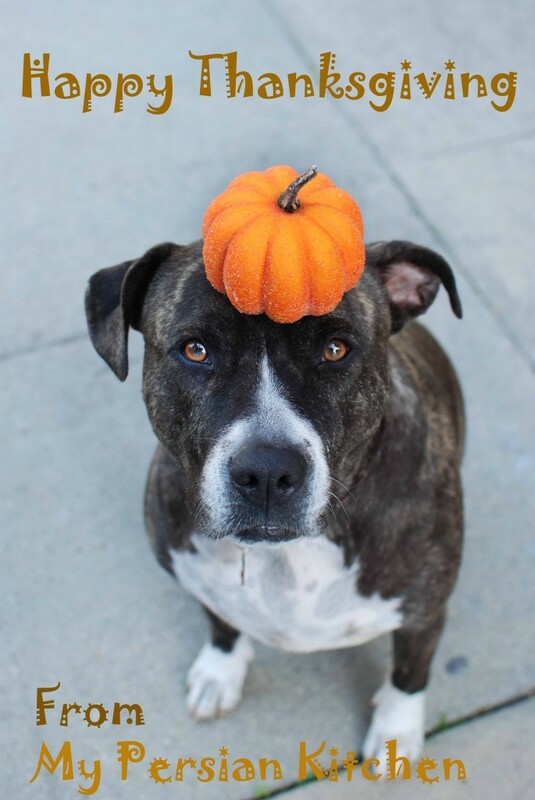 Happy belated T-day to you!!!! !